Welcome! 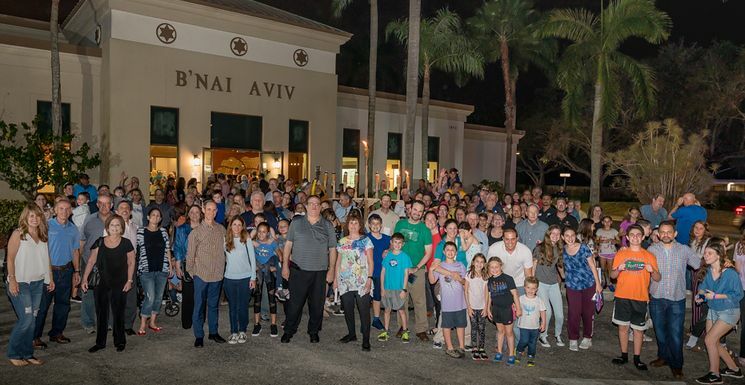 Founded in 1988, B’nai Aviv has become a true extension of our synagogue families and is now one of the most prominent synagogues in South Florida. In 2015 we welcomed the members of Beth Ahm Israel of Cooper City into our family, and we now look forward to the future as a newly merged Kehillah - bringing together the strength and vibrancy of two wonderful synagogues. Whether it’s our award winning Early Childhood Education Center (ECEC), our award winning Youth Program (USY/Kadima/Chalutzim), our award winning Hazak chapter, our dedicated and incomparable Clergy, or so much more, B’nai Aviv has what you are looking for. Simply, YOU BELONG HERE. 1) Click on the individual photo. 2) Lower right side of that photo click on the green "BUY" button. 3) Follow directions to place their order. It will be shipped directly to you. Educating nearly 300 children, B'nai Aviv is one of the largest Jewish learning centers in the area. A full time staff oversees our young children in the award winning Early Childhood Learning Center. Our religious school, for grades K-12, educates our children to be in "all things Jewish". All departments of learning stress a Conservative Jewish upbringing, high moral values and deliver this with love and care. A short walk through our schools will show you how learning can be fun. Start at smile.amazon.com and select Bnai Aviv Inc as your charity. Amazon will donate 0.5% of the price of your eligible AmazonSmile purchases. Then always go back to smile.amazon.com to begin your shopping online. Proud members of the United Synagogue of Conservative Judaism, the association of Conservative congregations in North America.